Iconic design and premium materials fuse with innovative SKECHERS GOimpulse Sensor technology to achieve the ultimate in comfort and style. 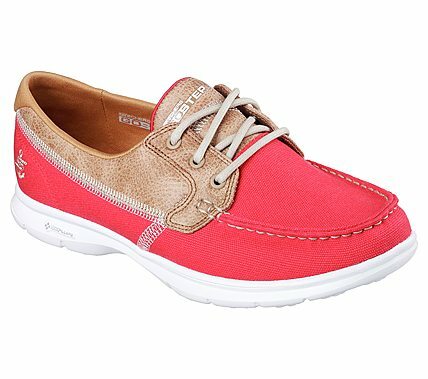 Skechers GO STEP - Seashore has a colorful canvas fabric and smooth Leather-Tex fabric upper in a three eye lace up boat shoe with contrast accents. Goga Max insole.